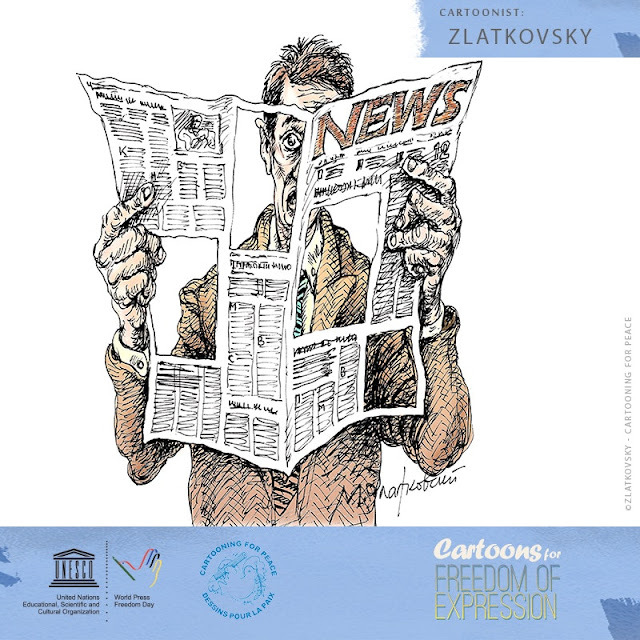 UNESCO and Cartooning for Peace join forces for a second year to celebrate World Press Freedom Day 2018. 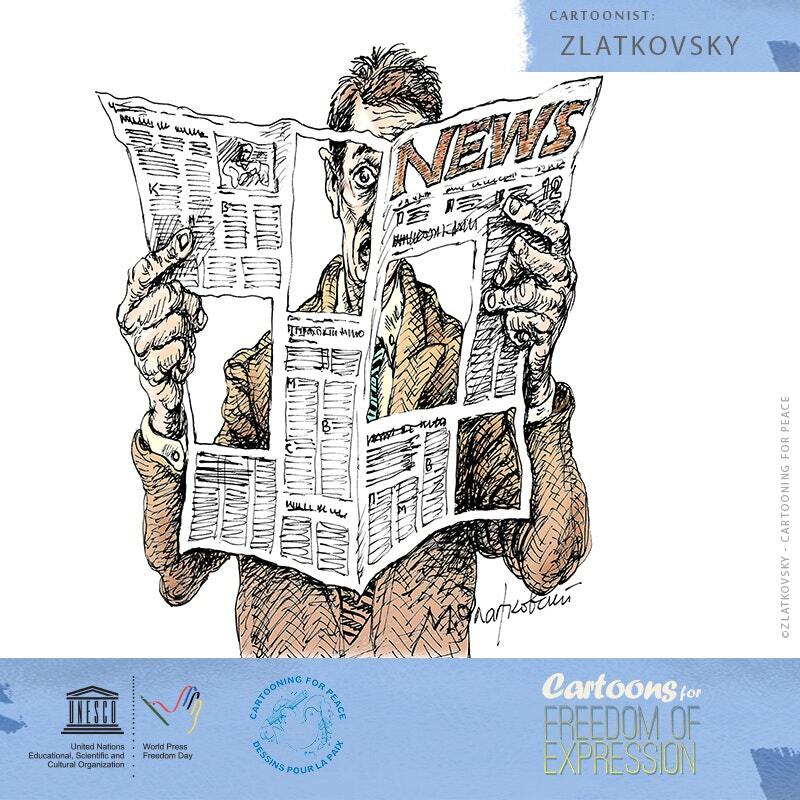 Press cartoonists from around the world combine humor, satire and tragedy to express their views on the state of press freedom. 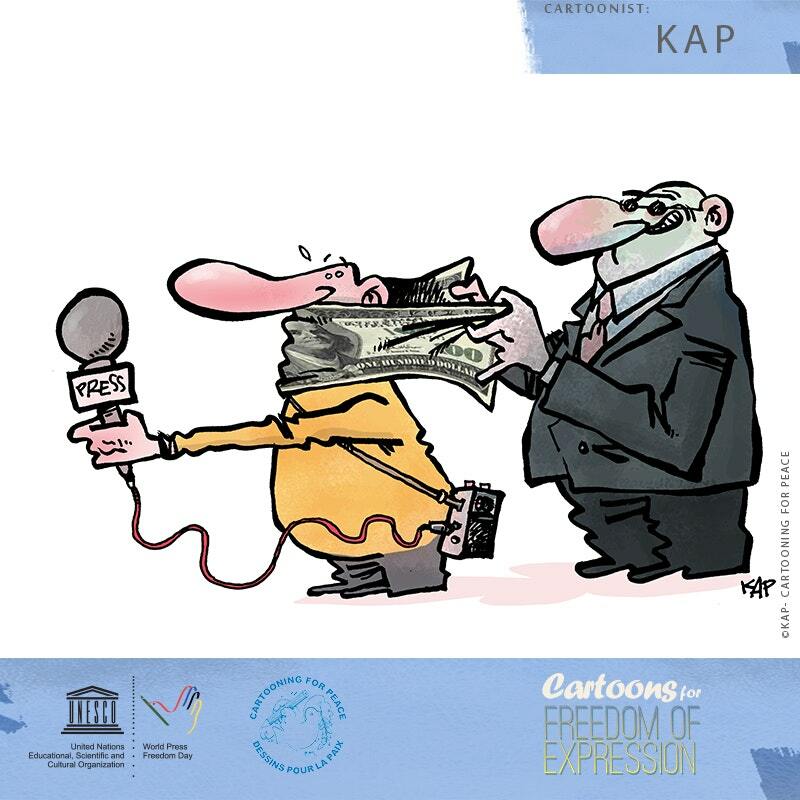 This year World Press Freedom Day's theme, Keeping Power in Check: Media, Justice and the Rule of Law highlights the role of media and the judiciary in holding power to account and defend a free, independent and quality journalism in order to have better societies.